We have compiled this Network Guide that will be helpful for everyone in video surveillance, from novice to professional covering the basics, network switches, PoE camera power, bandwidth & performance, and data transmission. In this tutorial, we provide basic training on how to IP address cameras, including: camera discovery tools, modifying and verifying your computer's IP address, testing connectivity, and more. This overview includes a 9-minute training video walking users through these common tasks. In this overview, we cover the three types of IP addressing users may encounter in their surveillance system: static, dynamic, and dynamic with reservations. We discuss the pros and cons of each of these, and give our recommendations for use in specific applications. Converged networks remain one of the great promises of IP surveillance, but actual adoption is limited, according to integrators answering our surveys. In this note, we cover the reasons for this, including poor quality existing networks, bandwidth limitations, political issues, and more, with quotes from integrators on each of these. In this coverage of our Winter 2012 survey, we discuss favorite network switch manufacturers as chosen by integrator respondents, including their commentary on each and reasons for selection. In this overview, we give our recommendations on PoE switch models most suited to IP surveillance systems, including limitations and applications for each specific model. Included are Cisco, HP, and Netgear, the top three manufacturers as chosen by our integrator members. Though PoE switches have become common, some debate remains as to whether they or PoE midspans should be used. In this coverage of our integrator surveys, we reveal the reasons for this, with comments from proponents of each. In this overview, we look at common models from some of the most popular manufacturers of hardened Ethernet switches, including Comnet, EtherWAN, Garrettcom, Korenix, Moxa, and Planet. Advantages, disadvantages, and pricing are shared for each. We also give our general recommendations for use of hardened switches vs. non-hardened. In this report, we test a Cisco SRW series switch, among the most popular small-business lines used in surveillance today. We give instruction in setup, recommendations on use, cost comparisons to competitive models, and how it differs from enterprise lines. Though many or most IP surveillance systems use lower-cost small business switches, enterprise-level models are still regularly used in larger deployments. In this training, we go over the differences between these models, and provide basic training on the use of Cisco's Catalyst series, some of the most popular enterprise switch models in use. In this report, we examine common reasons for PoE power issues, one of the most unpredictable issues users may experience in IP surveillance systems. We discuss power budget calculations, equipment specifications, and methods for troubleshooting these nuisance issues. In this note, we contrast the cost of powering cameras via Power over Ethernet vs. a non-powered switch plus a low-voltage power supply. We cover the applications for each, advantages and disadvantages, and provide real-world cost comparisons for common scenarios. In this update, we review many different options for powering cameras, AC vs. DC power, PoE, conventional power supplies as well as UPS abd battery-backed options. VLANs are one of the most commonly cited, yet frequently misunderstood aspects of the surveillance network. In this tutorial, we overview what VLANs are, the potential performance advantages they provide, equipment required, and give recommendations for best applications. Bandwidth is still an issue in surveillance systems, despite advances in network performance. In this note, we overview the basics of multicast networks, one way in which bandwidth issues may be reduced. We cover the basics of multicast, equipment support, VMS capabilities, and applications in which it should be used. This tutorial covers the basics of bandwidth issues in surveillance systems. 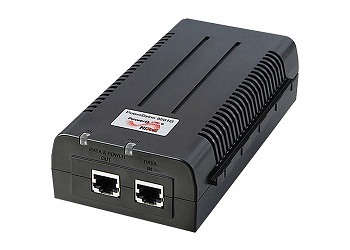 It covers bandwidth availability, campus and WAN connections, wireless networks, and estimating bandwidth consumption. In this training, we cover the factors which impact camera bandwidth consumption. Frame rate, CODEC settings, day/night bandwidth differences, and more are covered in a nine-minute training video. 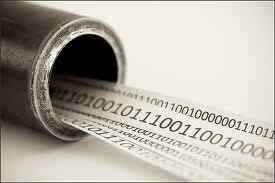 In this report we examine ways bandwidth may be reduced through the use of privacy masks. Examples are given from multiple manufacturers, including Axis, Arecont, and Panasonic. In this report, we evaluate how a camera's field of view, and focus as well as WDR, sharpness, contrast and brightness settings affect video bandwidth. In this update we demonstrate how cameras using Constant Bit Rate (CBR), Variable Bite Rate (VBR), and VBR Plus Cap affect video bandwidth. In this note, we overview Vunetrix's network monitoring offering, specifically tailored to surveillance and security applications, and able to monitor parameters such as bandwidth, storage duration, environmental factors, and more. We cover each of these features, advantages and disadvantages, costs, and recommended fits. In this note, we review the issues with using Universal Plug and Play in surveillance systems, including end user experiences taken from a members-only discussion. Bandwidth spikes caused by low-quality or noisy nighttime video may cause significant network issues. In this report, we look at the root causes, potential effects, and steps which may be taken to mitigate these issues. In this update we share 5 best practice tips for a clean cabling installation to prevent the dreaded "rat's nest of cable". In this article, we examine codes affecting network cable labeling and various methods for marking and labeling. In this review, we look at handheld tools for testing and troubleshooting network cabling. 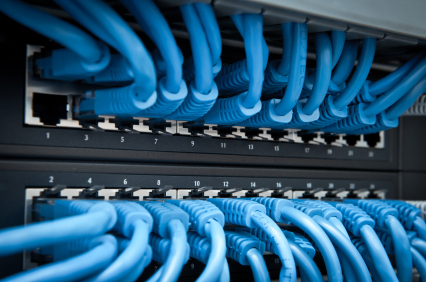 In this article, we review the differences between STP and UTP category network cabling and detail where each should be used. In this note, we examined several options for transmission options for long IP camera runs, including fiber optic cabling, Ethernet extenders and Ethernet over Coaxial cable (EoC). This report covers the basics of using existing coaxial cable with Ethernet over coax converters in a new IP surveillance system. Issues of cost, cable quality, and bandwidth are examined. In installations where new signal cable may not be run, using existing powerline infrastructure may be an option for placement of remote cameras. We examine powerline products, advantages, and best applications in this note. In this note, we examined the best practice of daisy-chaining fiber optic cabling for video surveillance applications to improve network relaibility. Disconnected patch cords are one of the simplest causes of failure in the surveillance network. In this note, we examine different ways of securing these cables in place to provide some protection from these issues.